It’s a known fact that online job seekers without technical skills love Captcha typing job since Captcha entry work is open to all the users who can connect to the internet using their desktop or mobile phone to earn money. While the Captcha jobs/Google Recaptcha jobs(smart captchas) are not high paying work like the survey jobs, it helps thousands of users to make at least a few dollars every month to cover their monthly bills and grocery. Now the Problem is, there are chances that the Captcha entry job might face a massive decline in the future. 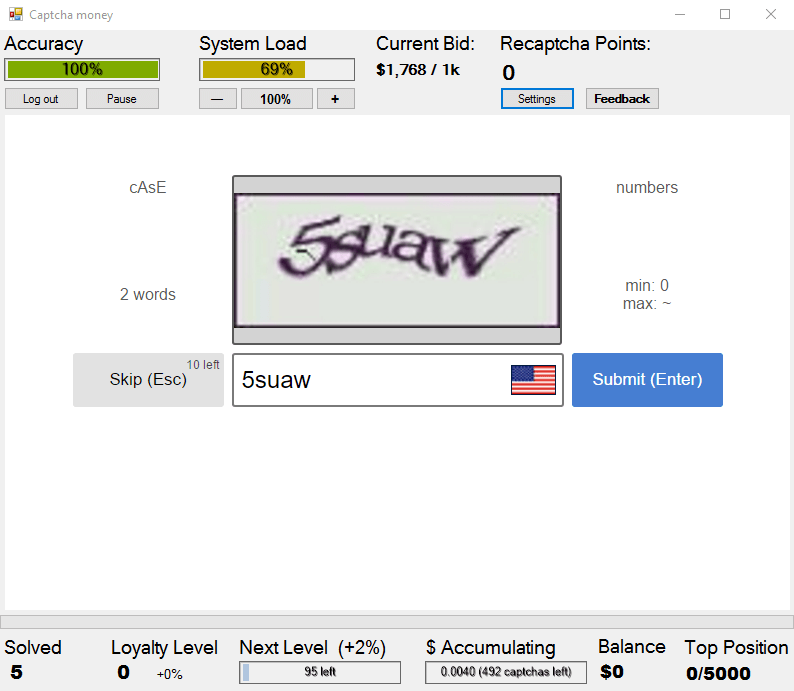 Google Recaptcha V3 will be the prime sword that might end the game of captcha entry work. In this article, you can learn about the Recaptcha jobs and the future of Captcha work. Recaptcha is the product of Google that helps to protect billions of web pages, apps, and programs to protect from unwanted programs and bots. Recaptcha is specialized in allowing only human users to access websites and apps. Previously, Google has introduced a new ReCaptcha version 3 which is totally different from its previous versions. Google Recaptcha V3 is invisible captcha while the V1 V2 Recaptcha requires user action(s) to complete the captcha. In simple, unlike V1 & V2, the Google Recaptcha v3 will run in the background of the web page or the web application where it is installed protecting it from automated bots and bad programs. You can recognize sites that use Google Recaptcha V3 using the floating badge given below. The Captcha job is all about solving captchas. There are two types of captcha entry job, the first is the image to text captcha where the worker must type the content given on the image in the text box to complete. The image to text captcha is the basic type of captcha which is the primary base of captcha typing job. These captchas are easy to solve but still low paying one. The workers can expect to earn around $0.30 to $1.50 for typing one thousand captchas. Since the technology development, the clients have now moved on to smart captchas. Solving smart captchas for money is been unofficially considered as the Recaptcha jobs while Google doesn’t pay or officially has got any Recaptcha job. In smart captchas the workers don’t have to do any typing work instead, they will have to pass the smart challenge. The Google Recaptcha V2 is the one that is related to Recaptcha jobs. Including you, almost all the internet user would have come across the Google Recaptcha while they are browsing the internet. The smart captchas are very efficient at blocking the bots and at the same time give less trouble to the human users. When there is a suspect whether the request is given by the human or the bot, the smart captcha increases the challenge automatically to toughen the process in order to increase the security. That’s why it is called the smart captcha since it’s intelligent enough to increase or decrease the challenge level based on the request. By solving the smart captchas, you can earn $3 every 1000 captchas. You might like this – Megatypers vs 2Captcha vs Kolotibablo. Hope now you know basics of captcha typing jobs. The image to text captcha was once the primary way used by the sites and apps to protect them from automated programs. Now it’s one of the outdated ways. Google’s Recaptcha offers free protection which is advanced considered to those traditional image captchas. The great news is previously Google Recaptcha have updated to version 3 which is good enough to eliminate unwanted traffic without disturbing the real traffic working in the background. But this is bad news for the captcha data entry workers. There are a lot of internet users who earn around $200 to $1000 per month using captcha entry jobs. This is possible only if the clients request for traditional and smart captchas solving services. The thing is the usage of these captcha services will dimish in the future. 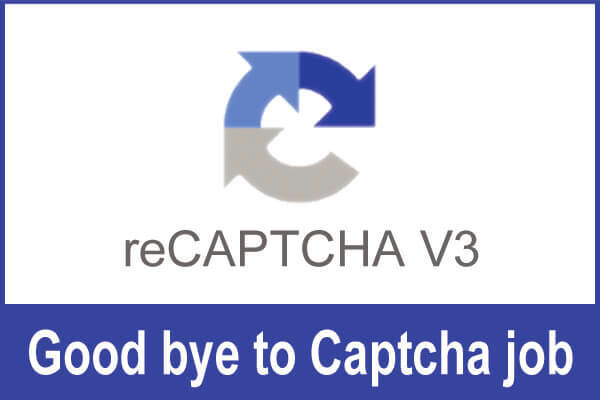 Recaptcha V3 will be one of the primary reasons for the drop in captcha solving jobs. This is because Google Recaptcha V3 is powerful enough to block the bots running at background making it completely invisible. The main work for the worker is to solve the captcha as a human to help the clients to automate their services using API. This is only possible when the bot is challenged. Since V3 is completely invisible it’s very rare that the Recaptcha would challenge instead it will block it instantly. So, Google Recaptcha V3 will definitely affect the future of the captcha entry services which of course affect the job seekers who are looking to make money online without investment. Also, be advised that Google frequently updates it’s security services. Version 4 could be more aggressive compared to version 3 in deducting & blocking bad bots without challenging when a request is given. Related article – Bitcoin captcha entry. Though this is not going to happen in the near future, I predict that there will be an end to the captcha entry work some day in the future. So, it’s time to look for a reliable option that is going to be a long term opportunity. Online freelance jobs are one of the best alternatives for professional and people with technical skills. It is professional, ethical, and reliable compared to Recaptcha jobs. If you’re going to put a real effort into it, you can expect at least a minimum of 4 figure income every month. If you’re the one without any skills, but still wish to earn money online, you could go for alternatives such as paid online surveys, Amazon mTurk, etc. Few other easy ways to earn money online include paid to click, Get paid to. You can also consider starting your own business from home. Here are some of the best home based business ideas to start with low investment. 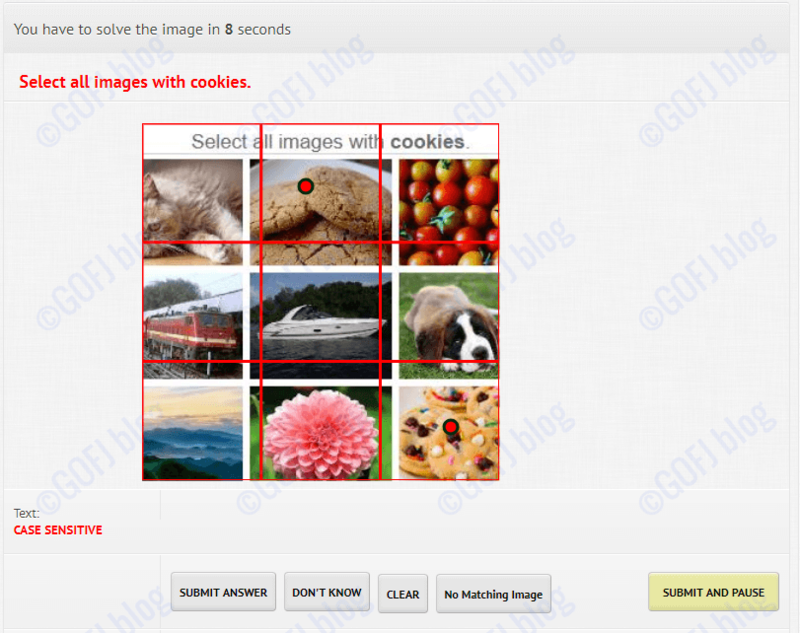 The Figure-eight micro tasks are one of the best alternatives to the captcha entry. It’s completely beginner friendly and unlike the paid surveys, this job is available 24/7 to do. Get paid up to a dollar by completing these simple tasks. Hope, you’d have got an idea about the Recaptcha jobs and the effect of Recaptcha V3 on the captcha work in the future. If you wish to learn more and job captcha work, here are the links to genuine captcha sites – 2Captcha, Megatypers, Kolotibablo. You can refer – https://www.genuineonlinefreejobs.com/online-captcha-entry-jobs-typing-sites/ for sites that pay for solving Captchas!